Here at Pearl Scan Solutions we do a lot of large format scanning, but many companies want to know exactly what that means or what that stretches to (no pun intended). So let’s take a look at exactly what large format documents are and how getting them scanned can be the best thing you can do with them. For a start, these documents can be cumbersome things which makes them difficult to handle in their hard copy format. It’s not so easy to just sore them away in a plastic wallet or filing cabinet and, more often than not, those that possess large format images such as architects and councils tend to have more than one, in some cases a sizeable amount. Large format scanning is where we take a large format document and convert the physical document into a digital one, usually in the form of a high quality PDF, TIFF or JPEG file. Occasionally, if these large format drawings are architects renderings or plans they can be converted into CAD (Computer Aided Design) files, such as .DWG and .DXF, which will work with the more popular CAD software such as AutoCAD. Large format scanning needs to be done via a LFD scanner; a feed scanner which takes the large document slowly through its feeder collecting the data and the image as it goes. The resulting image is then converted into the selected format. What Constitutes a Large Format Document? Anything above A3 in size (420mm x 297mm) tends to be classed as large format. Most large format document scanners, however, cannot take anything above A0 in size but documents can still be scanned and pieced together using a large flatbed document scanner, if required. Quite simply, if your document is over the size of A3 it is a large format document and it would need to be scanned on either a large flatbed scanner or a large format document scanner which has a feed. We have seen all kinds of documents over the years that have come in large format form. These include architects drawings, children’s school projects, rare old Polish film posters, huge photographs and much more besides. What are the Benefits of Having Large Format Drawings Scanned? Common sense will be able to tell you the benefits of large format scanning but a lot of advantages can differ from company to company. We get architects contacting us because they simply need to make space, yet retain the documents. The only effective way to do this is to get them scanned to high quality images then have the originals securely shredded. Large format scanning also makes the documents very easy to handle in digital format as they can now be viewed on a computer rather than having to roll out a large document. 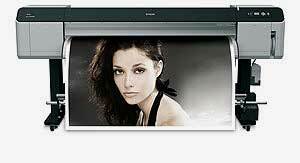 Having the large format document in digital format also means the images can be reproduced without the quality being compromised. Images can be cleaned up so that the digital version is actually better quality than the original. Drawings can be edited again if they have been converted to a CAD format. Digital versions can be distributed and shared easily through email or made available on an online cloud system. Those were just a small portion of the benefits you could gain from having your large format documents scanned. Companies are continually saving money, time and space with Pearl Scan’s large format scanning. If you would like some more information on the large format scanning services we have to offer and how you can reap the rewards almost immediately, get in touch today for a free, no obligation quote. For a free, no obligation quote for your large format scanning project complete the online form by following the relevant links below.